Grab the phone before you grab your shovel! 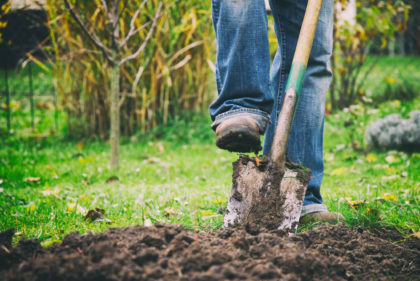 Whether you want to plant a tree or install a new sprinkler system, the law requires you to call before digging to avoid damaging utilities. We will come out and mark underground utility lines in colored paint, free of charge. This will help you avoid cutting into underground utilities, causing harm and incurring costs associated with damage. Dial 811 or call (800) 424-5555 to schedule an appointment, which must be made two days in advance. Visit the Utility Notification center for more information and enter your request online.